Constantine Yannelis joined Chicago Booth as an Assistant Professor of Finance in 2018. He conducts research in finance and applied microeconomics. His research focuses on consumer finance, public finance, human capital and student loans. His recent research explores repayment, information asymmetries and strategic behavior in the student loan market. Yannelis’ academic research has been featured in The Wall Street Journal, Financial Times, The New York Times, The Washington Post, The Economist, Bloomberg, Forbes and other media outlets. Before joining Booth, Yannelis was an Assistant Professor of Finance at New York University Stern School of Business. 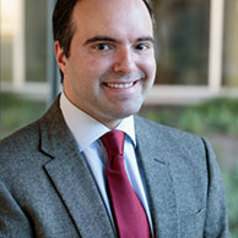 Prior to his time at NYU Stern, he worked at the United States Department of the Treasury, the Organization for Economic Cooperation and Development, the United Nations and the Federal Reserve Bank of Chicago as an Associate Economist. Yannelis earned a BA in economics and history from the University of Illinois at Urbana-Champaign and an MA in applied mathematics from Université de Paris I: Panthéon-Sorbonne. He holds a PhD in economics from Stanford University.